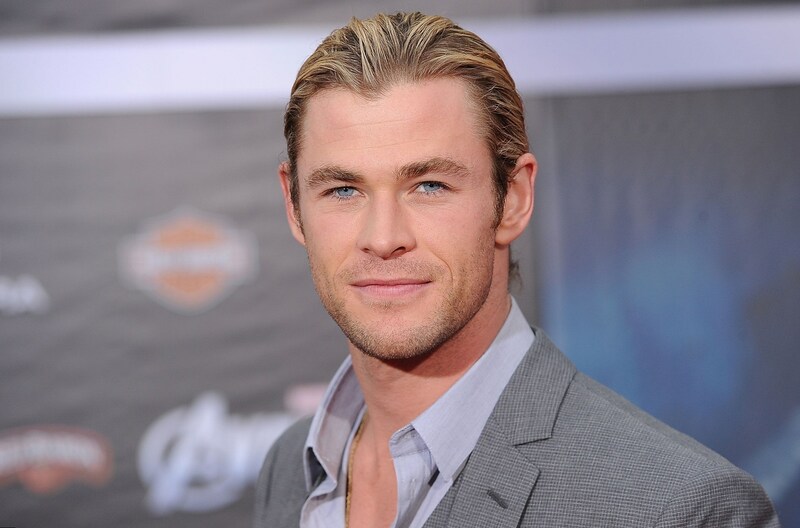 Chris Hemsworth is one of those actors who in order to gain popularity went to Hollywood and didn’t go wrong. 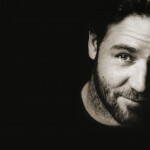 He is a gifted and charming man with gorgeous smile and blue eyes. By the way, exactly because of this, he is frequently compared with Brad Pitt. Such a comparison surely flatters the actor. Chris Hemsworth was born in Australia. In this country surfing is considered to be not a kind of sport but a kind of family vacation. Childhood Chris spent with surfboard and everyone thought that he would become a sportsman. But a young boy was in love with cinema and wanted to become an actor. 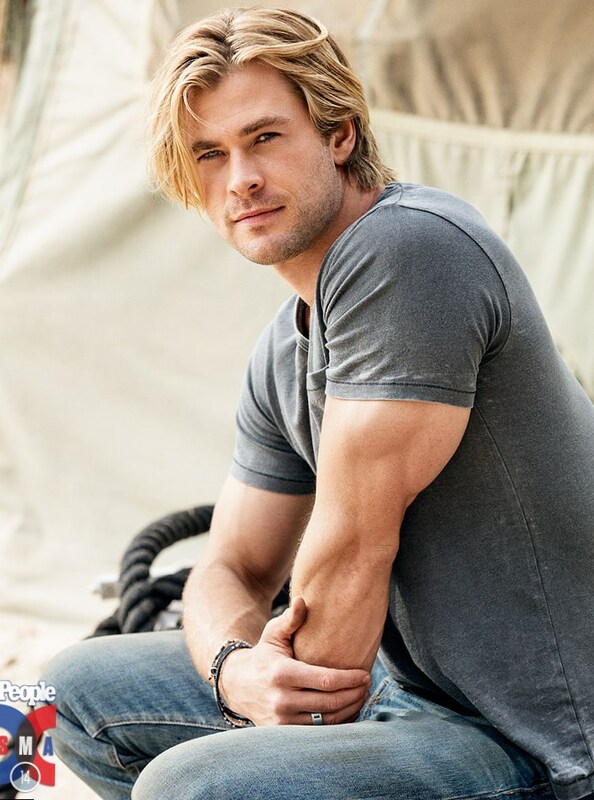 Despite of Chris Hemsworth height, muscularity and manhood Chris was very tender. At the age of 26 the actor went to Hollywood. Frequently he is asked whether he misses Australia but he says that he tries not to think about it. By the way Chris Hemsworth wife is Spaniard, Chris is Australian so the couple constantly travels from one country to the other.Chris has already shot in a wide range of famous films. 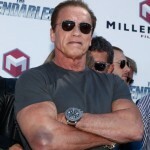 One of the most prominent roles of this gifted actor was the role of superhero Thor. At once after the release of this film in 2011 everyone started talking about his ideal physical form because Chris put on 20 pounds of muscle. This film was produced by the company Marvel Studios. The main character is an arrogant and high minded God Thor who was deprived of his power. The first run of this film was in Sydney. This film financially was rather successful; with the budget only $150 million, the box office was $449 million. Avengers: Age of Ultron is another film that influenced greatly the actor’s career. It is based on the Marvels Comics. It was released in 2015 and again Chris was offered a role of Thor. Avengers: Age of Ultron was a sequel to The Avengers released in 2012. The Cabin in the Wood is an American thriller with Chris Hewsworth in the lead role. It was released in 2012 at the cinema festival South by Southwest. The main plot of this film tells the story about five friends who come to the cabin in the woods for weekend and their adventures. 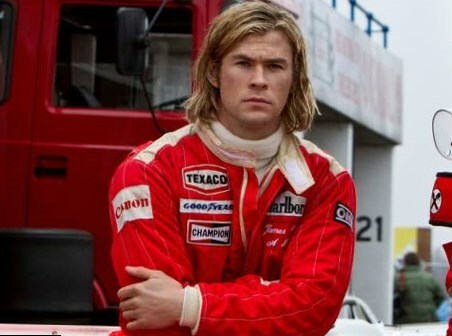 Chris Hemsworth decided to take part in the film Rush only because of the fact that he wanted to prove his admirers that role of Thor is not a limit for his talent. This film shows the competition between two Formula 1 champions. 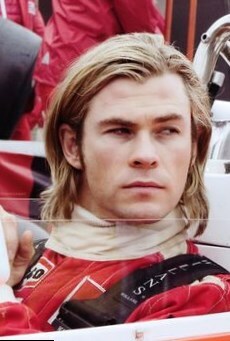 Chris played the role of James Hunt, Formula 1 racing driver. This film was based on a true story and has two Golden Globe nominations. Thanks two this role Chris proved the fact that he really was a talented actor and can correspond to any role. Snow White & the Huntsman is an American fantasy action film based on the German fairy tale. 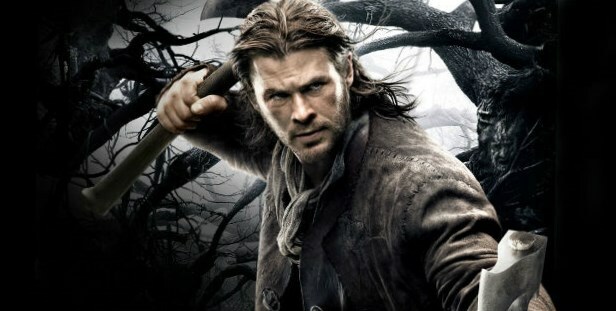 Chris played the role of a huntsman. At the box office it earned $396 million and received two Academy Award nominations. Though the actors who played the main roles were criticized it worth to be mentioned that Chris’s acting was brilliant. Now Chris Hemsworth is a highly sought actor in Hollywood who continues filming in various blockbusters.